For a short while is was a sausage sandwich from Mario's sandwich shop next to Waterloo station. Greasy cheap sausages cooked on a hot plate, sliced in half and spread out on even cheaper white bread. The scalding heat melting the butter through into the napkin. Delicious with or without a hangover. For the next few years I had a favourite sandwich that I thought could never be bettered. Herbi [sic] Chicken Salad rolled sandwich from Doughmasters in Croydon. In this fine chain of sandwich purveyors they prepare their own flat breads on their patented tabletop ovens. 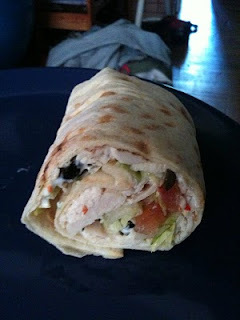 The Herbi chicken salad a delicious mix of chicken breast, herbs, black olives and mayonnaise. I rarely choose any of the other excellent cold or grilled fillings, I can't get enough of the Herbi. A trip to Barcelona led me to find a sandwich which would easily rival doughmasters. Back in 2006 in the New York times, food writer Mark Bittman claimed that the flauta d’ibéric d.o. 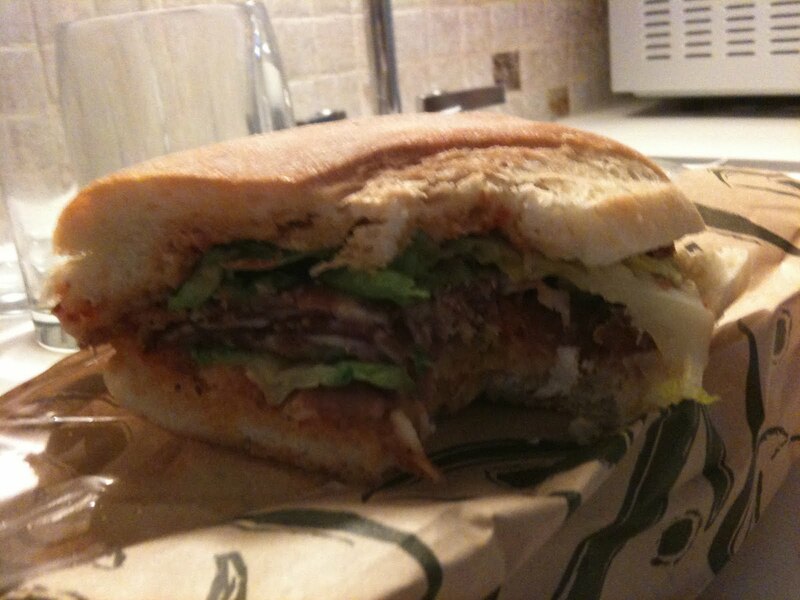 jabugo from Cafe Viena is the best sandwich he had ever eaten. I tried this sandwich twice while in beautiful Barcelona on business and I can say that it's one of the best I have tasted. The design is simple. A crusty flute is sliced open, spread with tomato pulp and filled (not stuffed) with some of the best iberico ham you can buy. The bread with tomato is the perfect vehicle for the beautifully soft ham. The tomato softens the bread and balances the saltiness of the ham. Truly a great. Our honeymoon took us on a whirlwind tour of some of the USA's finest food. While investigating places to eat in San Francisco I was advised to visit Boccalone. So we visited the Ferry Plaza building to investigate. Boccalone make outstanding Italian style pork products and more importantly for this post, the outlet in the Ferry Plaza sell sandwiches. I had to get one, I had to see if Viena could be beaten. I was not disappointed. 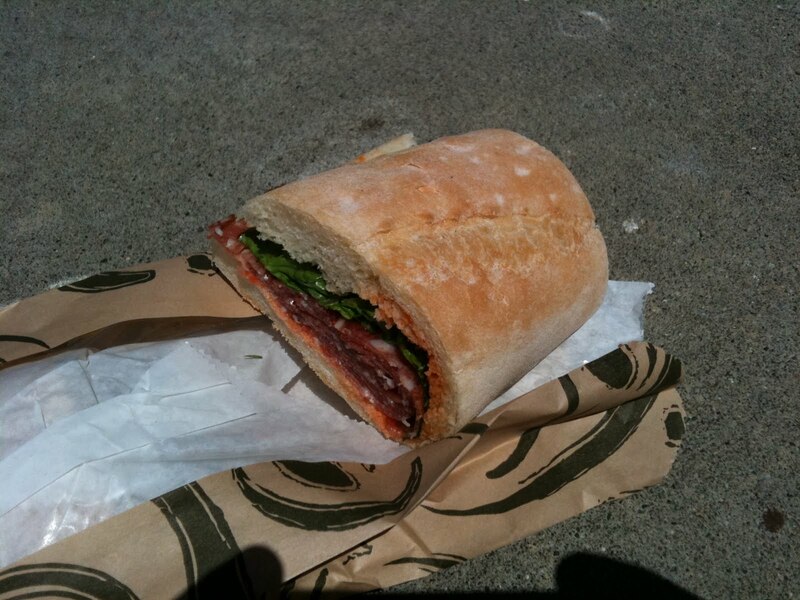 Made, I think, with an Acme Bread company ciabatta style loaf and filled with tomato (similar to Cafe Viena) greens and a huge amount of Boccalone's sublime Salami pepato. The sarnie has it all and it's the meat that makes it. Salty, peppery and piggy I couldn't get enough and was sad to finish it. So sad that over the never few days I went back twice for this sandwich from heaven. And thrice. 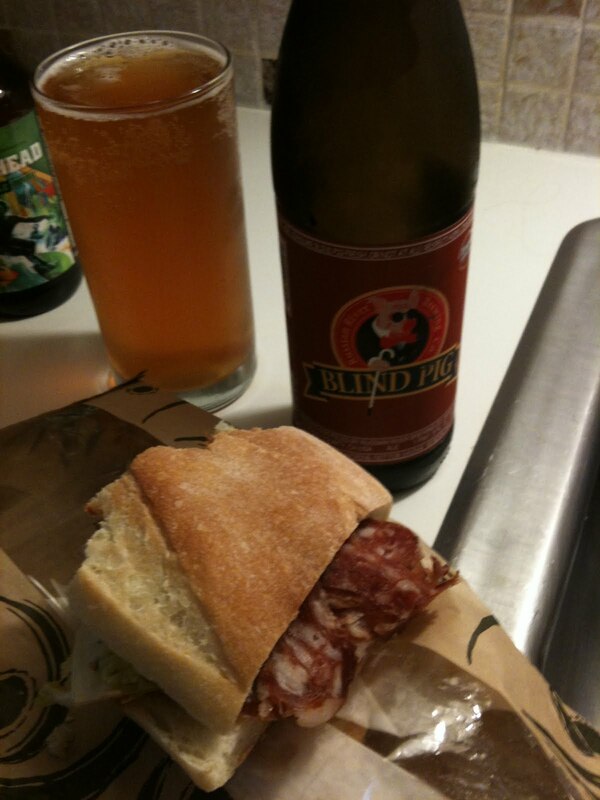 This last time with a Blind Pig IPA from Russian river. Possibly the most bitter thing I've ever drunk. So I presumed I had found it. I thought that this one couldn't be beaten. I may have been wrong. We were taking a long walk back to the Ferry Plaza to buy another Boccalone and stumbled across the 21st Amendment Brewpub. Recommended to us by Mark Dredge we popped in for a beer and maybe more and oh boy did I get more. 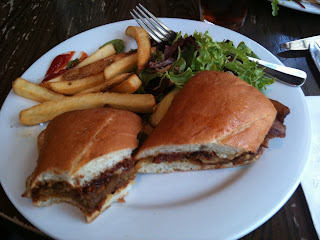 I opted for the meatloaf sandwich not thinking it would be a contender. Two thick slices of tasty meatloaf, full of herby savouriness, with bacon and cheese was covered with just enough excellent BBQ sauce. This is the current joint leader with Boccalone...for now. So where is your favourite sandwich from? Please let me know in the comments! *to clarify this is the best bought sandwich ever. The current joint leaders for best homemade sandwich ever are my darling wife's fishfinger sandwich and my best man Hatch's ultimate bacon sandwich, peanut butter, mayo and illegal amounts of bacon.